Danang in central Vietnam has the go-to airport for accessing Hoi An and Hue. Many people speed right through town without even stopping to have a proper look around. 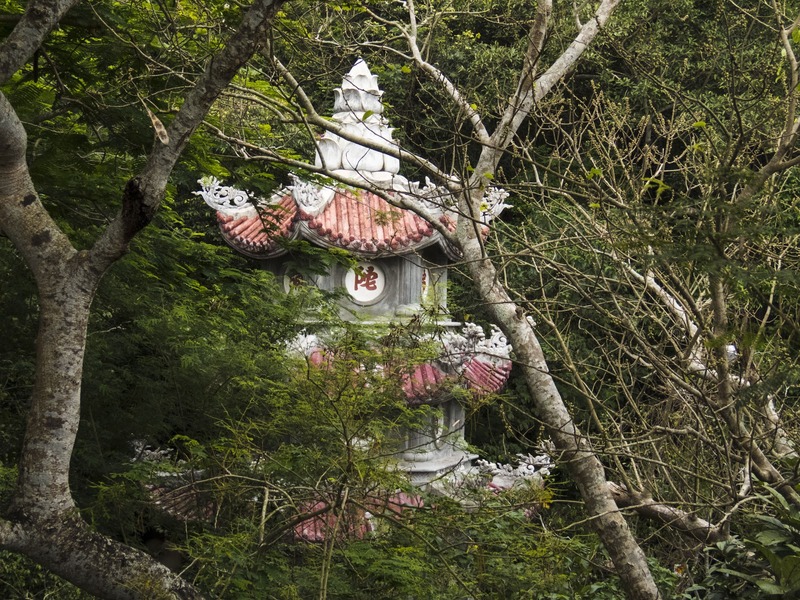 We spent a short but sweet afternoon and evening in and around Danang on our way in and out of the region. Here's why you should find time for a layover in Danang on the way to Hoi An Vietnam. 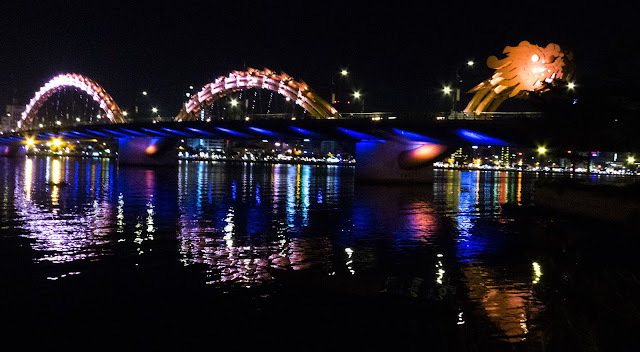 When I heard that Danang had a dragon bridge, I thought, "This I gotta see!" We made arrangements with the driver who picked us up at the Danang Airport to stop for a photo-op by the dragon bridge. The bridge lights up at night and even breathes fire on the weekend! 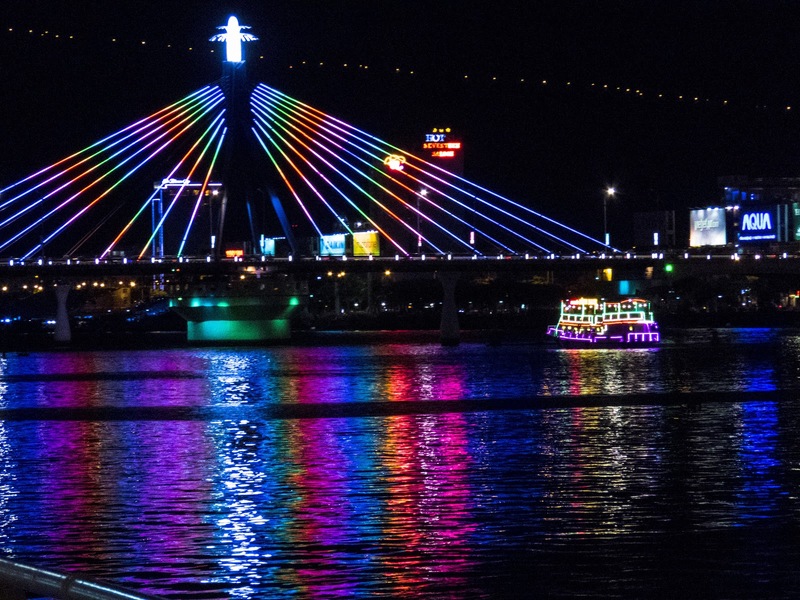 Danang's dragon bridge is definitely over-the-top fun. 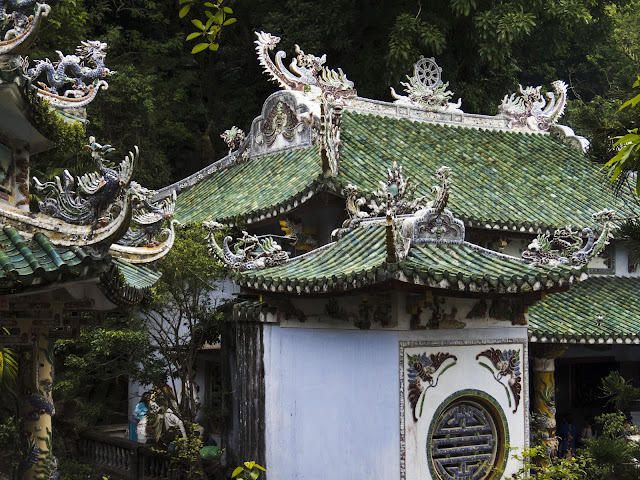 In contrast to Hoi An which maintains an old-fashioned mystique, Danang is decidedly modern. Bridges, buildings, and boats all scream with neon lights making for a vibrant experience. Between Hoi An and Danang lies Vietnam's Marble Mountains. We arranged for our driver to stop for a few hours at the Marble Mountains on the way back to Danang from Hoi An. We discovered picturesque temples nestled in the rocks. Make sure you're prepared for a climb and bring plenty of water. The walk around the Marble Mountains was no joke! 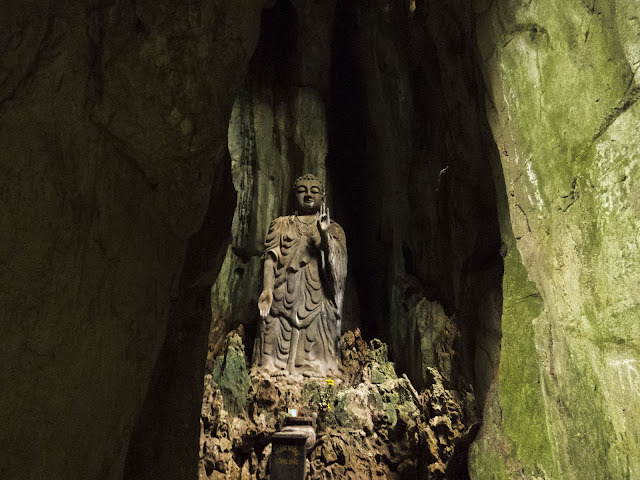 Pro tip: go early to avoid the crowds visiting the Marble Mountains. Finally, Danang is a decent-sized city. If you're tired of Vietnamese cuisine, Danang's got you covered. We sampled cheap and cheerful Thai food but could have just as easily sat down for an Italian meal. Danang has restaurants to suit every taste. Have you been to Danang? Do you agree that it's worth a stop? 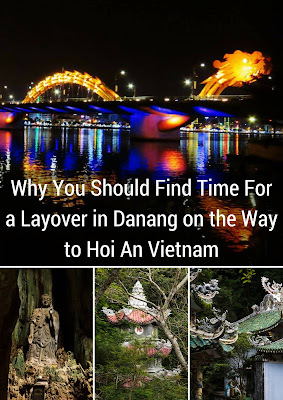 Learn about reasons to visit Danang, Vietnam on the way to historic Hoi An. A photo-rich post by travel blogger, Jennifer (aka Dr. J) from Sidewalk Safari.